1. It’s just knitting. It’s knots and holes and nothing more. The one trick is making sure that all the knots and all the holes are where you meant them to be. 2. If you stuff something up, you can always undo it. If the whole thing goes to pot, you can unravel the lot. You can even ignore your mistake without genuinely disastrous consequences. It’s knitting, not the Large Hadron Collider or brain surgery. We do all make mistakes, though. In fact, the knitting book I am writing in my head is called Great Knitting Stuff-Ups I Have Made and What You Can Learn From Them. But happily, most are really easy to fix. Here are the most common three and their remedies. This one is easy to spot as you are doing it. Not only does the stitch look wrong, but it feels wrong. It is often harder to slip off the needle, and seems all caught up in itself. It’s a very easy mistake to make, all you have done is put the tip of the needle through the yarn instead of through the loop. If you then knit the stitch, the yarn below looks split and fluffy. To fix it, just draw the tip of the needle back out and do it again. 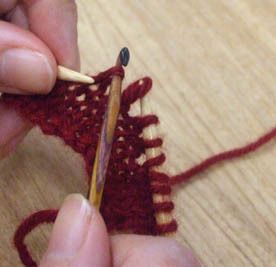 If you have already knitted the stitch, you might want to un-knit back to that stitch, see the fix for yarn overs, below. Or if you have already knitted a whole new row, you could drop the wrong stitch when you come to it and then pick up the stitch and work it properly, see the fix for dropped stitches, below.If it doesn’t look too bad from the front and most of the yarn is in the stitch, you can always just pretend it never happened (see Rule Two above). These are made by wrapping the yarn around the needle when you’re not meant to. 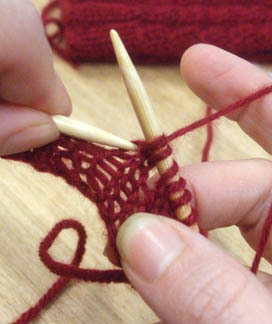 You can do it absent-mindedly as you knit, or accidentally when you pick up the knitting after putting it down. 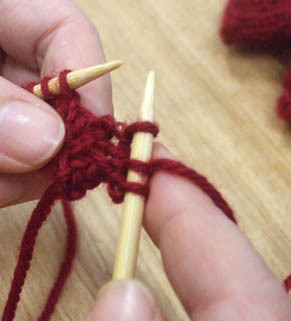 It’s really common to make this mistake when you are doing knit and purl stitches in the same row, all it means is that you accidentally left the yarn at the back of the needles and then went to purl from the front, or left it at the front and then went to knit from the back. 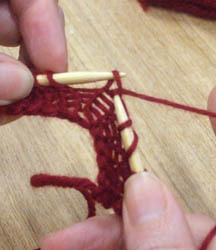 You can see a yarn over in your knitting, because it forms an extra stitch (a sloping one) between two proper stitches. 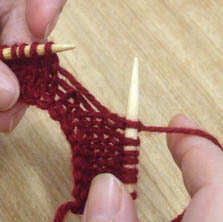 In fact, yarn overs are used intentionally as a means of making an extra stitch, but they leave a hole in the row below. 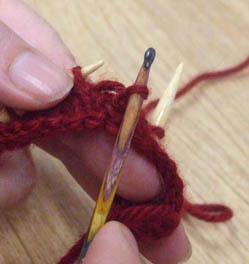 When you reach the top, just slip the loop back onto the left-hand needle. There are two things to keep in mind when picking up stitches. 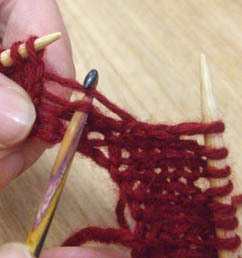 If you look at your knittng, you will see that each stitch makes a ‘bump’ on one side. 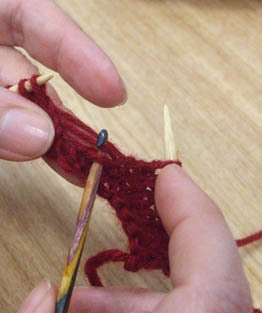 You want to make sure that you make the bumps on the correct side when you pick up each stitch. If they’re not, just undo it and put the crochet hook in the other way around so that you do it from the other side of the knitting. 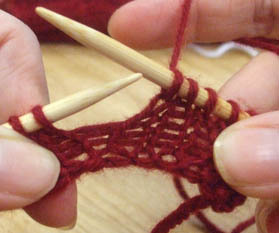 Remember that knit and purl stitches are exactly the same as each other, but backwards. 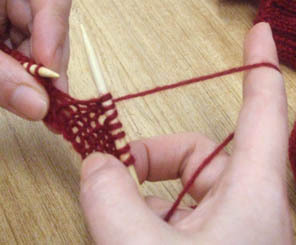 Tension: A lot of beginner knitters find that their work is too tight, too loose, or a bit uneven. 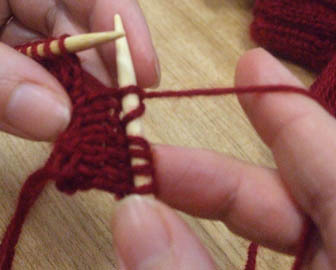 You can work on evening up your tension by paying attention to how you hold the yarn in your right hand as you knit – I loop it once around my little finger to give it just a bit of stretch as I go. And remember to relax and not tug on the yarn for each stitch. The easiest thing is to just keep working and make your first piece of knitting something where the tension isn’t so important. Patchwork blankets are a great idea for this, because you can just knit extra strips to make things fit if your need to. 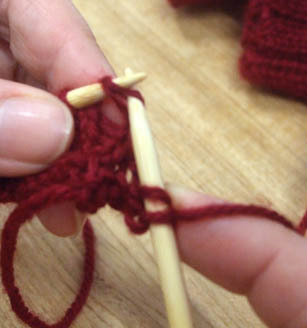 Knitting the tail: You’re rocketing along, and you suddenly run out of yarn. D’oh! You’ve knitted the tail instead of the yarn coming from the ball! Just unknit back to where you picked up the tail, pick up the ball yarn instead and keep going, you’re doing great! 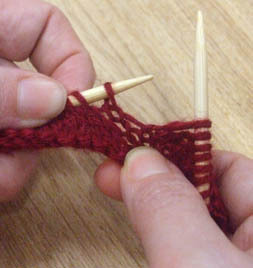 Going the wrong way: You get part way along the row, and all of a sudden there’s a ‘step’ in your knitting and it looks as though the next stitches are a few rows below the ones you’ve just done. That’s because they are. At some point earlier you’ve popped everything down to go to the loo or answer the phone, and when you’ve picked it up, you’ve turned it around and gone back the way you’ve just come rather than knitting to the end of that row, so when you get back to this point, the rest of the stitches are a few rows behind. The bad news is that you need to unknit those rows back to where you should have kept going. Sorry. Let us know if you have any problems you’d like to know the answer to, as we’ll be putting up some more tutorials in the next few months. And many thanks to the lovely Kitiya Palasakas from Better Homes and Gardens Craft for taking these photos! Never fear knitting – save fear for clowns!